Zespri International Limited is a consumer-driven, grower-owned company dedicated to the global marketing of kiwifruit. In August 2017, HollandDoor had a delegation of 2 people from ZespriCompany, who came from Australia and Italy. 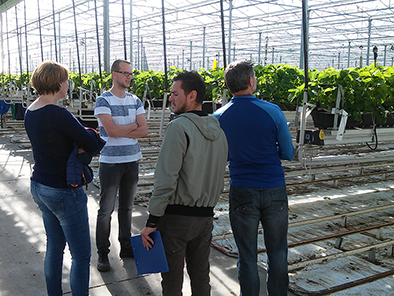 They were interested to learn the reasons why greenhouse growing is much more successful in the Netherlands compared to other regions. What are the arguments for the potentials of greenhouse growing and when will it become successful? What kind of fruit and vegetable crops are grown in greenhouses and what are the business advantages? Some high-tech and low-tech strawberries growing, indoor as well as outdoor were visited and different varieties were tasted. 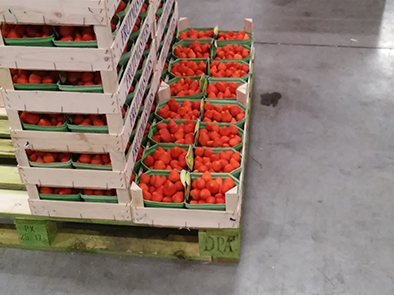 Also other fruit growers were visited: among them a starting kiwi grower in the Netherlands. This visit resulted into an interesting conversation about the growing of kiwifruits.